 Menton Family Dental is dedicated to providing you with exceptional dental care. To us this means staying technically advanced while retaining old-fashioned concern for our patients. To accomplish this we have designed and staffed our office to ensure your comfort and convenience while in our care. With modern techniques and early detection, our dental team can now restore teeth painlessly and without excessive tooth removal. Our dentists can correct stained, chipped, broken, even crooked teeth with tooth colored restorations to make your smile bright and confident. The staff at Menton Family Dental Care believes that our best referrals come from our patients. Over the years our practice has grown from satisfied patients referring their friends and family. This confidence is an inspiration for us to continue to strive for the excellence our patients expect.